It is argued that the middle ground of English politics has been captured by what is effectively a centre right Tory Party, and Labour has lost what was once it’s core support of ‘The Working Class’. Indeed, those on the right argue that there is no such thing as the working class, and that demographic now identifies itself as ‘Middle Class’. The dispossessed and less fortunate, those with little or no income are portrayed as an inconvenience by the policy makers, who constantly tell us that money has to be saved on welfare – there is no alternative – conveniently forgetting the real lives that are affected by market capitalism and the chase for constant growth. No place for compassion here. Over the years since 1979 politics has changed from being representative of, and controlled by the people, to just being controlled by big business, with the masses kept in their place by a constant stream of propaganda that reassures them and carefully defines them as ‘hard working and doing the right thing’, because if you don’t, the wrath of the system will surely grind you down. The subliminal message is ‘do as you’re told or else’ …. With the ‘or else’ being the constant fear of a life in poverty, or being targeted as a scrounger, or not being able to find money to keep up. Sound familiar? True Victorian values are returning, we even have people working for nothing on penalty of losing welfare support…..a disgrace in 21st century Britain! Such is the power of these messages that few actually question anymore! To do so suggests that you are a doubter, that you don’t believe in the good that is being done in your name, that you are an outsider, a radical and not ‘one of us ’. You’re not doing the right thing! This state of affairs cannot be allowed to continue. We see daily on a global scale the damage done to our planet in the name of change and so called progress. The Green Party have a huge responsibility to educate our potential core support. That support, in a large part, is disaffected Labour and Liberal voters (and even some Tories), who are currently looking for the right alternative. They know the Tory way is wrong, but are unsure what the real alternative is. We need to construct a discourse that is legitimised by sustainability, and we need to get that message across at every opportunity. The 67% that didn’t vote Tory are a big audience waiting to hear the things that will give them stability, and that will ensure they can live life with all the comfort and support required in a civilised society. Our priority messages should be simple and focus around security – of income (sustainable jobs, proper welfare), housing, transport and public services, – and sustainability of the planet, of the natural world, of our food and water supply. Our message needs now to be that only our policies can build that secure and sustainable world without fear, based on civility, human rights and a respect of all of life. We need to begin that task now, and I would like the message to come from our leadership fairly quickly. Time is not on our side. Well, no one saw it coming but no one will be exempt from its effects. The Tories, via a press & TV campaign that skewed voters views to the right, have secured five more years of punitive policies that will hit the poorest in our society, and already just 1 day in, DWP are to cut support at work for disabled people. b) uses a voting system that somehow gives 54 seats to 1.5 million Scottish votes and just 1 seat to 1.15 million English who voted Green. That, of course, is not the fault of our Scottish comrades, but is nonetheless indicative of a system that over time has been carefully engineered with unfairness built in. What was unforeseen was the whirlwind rise and support for Scottish Nationalism. If they had seen it coming down the track in time the system would without doubt have been changed to cope, but they missed it! Therein lies a lesson. A just cause with a groundswell of popular support can make a difference if the message gets through. Minority parties (i.e. the losers in the current system) must act together and insist on a PR based, representative review. This government rule with just 37% of the vote. 63% of those that voted did not vote for their policies and 34% of those eligible to vote did not even bother. This means in reality the government mandate is based on roughly 25% of the population supporting them. Not an overwhelming victory in my eyes, not to mention undemocratic! Scotland, Wales and Northern Ireland ask for autonomy – it is the will of the people. England must control its own fate, but it must do so in a fair and truly democratic system where the number of MP’s is reviewed and downsized, localism, including devolved powers becomes a reality, with the population divided into constituencies with equal numbers of electors. Voting should become easier, perhaps based on some electronic system, thereby becoming more inclusive and democratic. As a party we must regroup quickly, and we must let our supporters and members know that we are still here and we have a strong mandate to continue being here. Membership is still increasing and they are looking to the leadership for direction. Our leaders must formulate that direction and communicate it clearly and quickly to retain goodwill from those that have selected Green as their politics of choice. 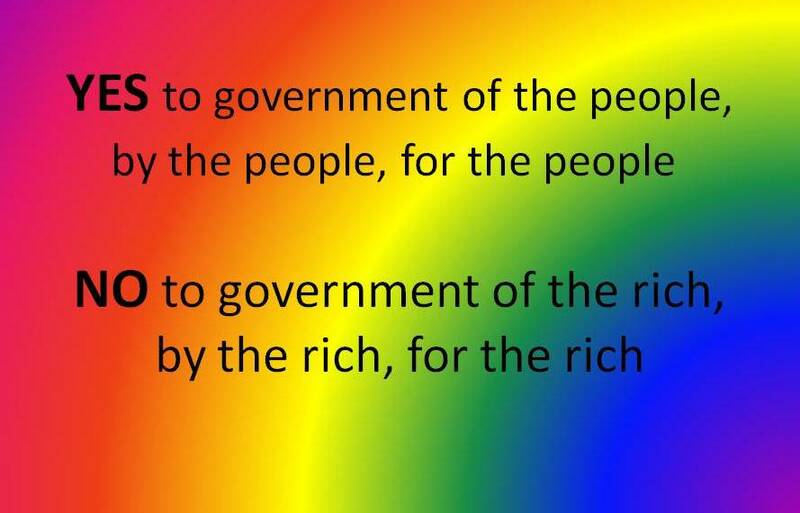 We must strive for PR, but live with FPTP, but either way our support will grow as more and more people realise the damaging consequences of a greed based system run by and for the rich. By the time of the next election the country will be more than ready for change. With careful planning we can develop our party to portray that change with our policies for the common good. Change is not for the faint hearted……but it is for the better! Andy White – Derbyshire Dales. 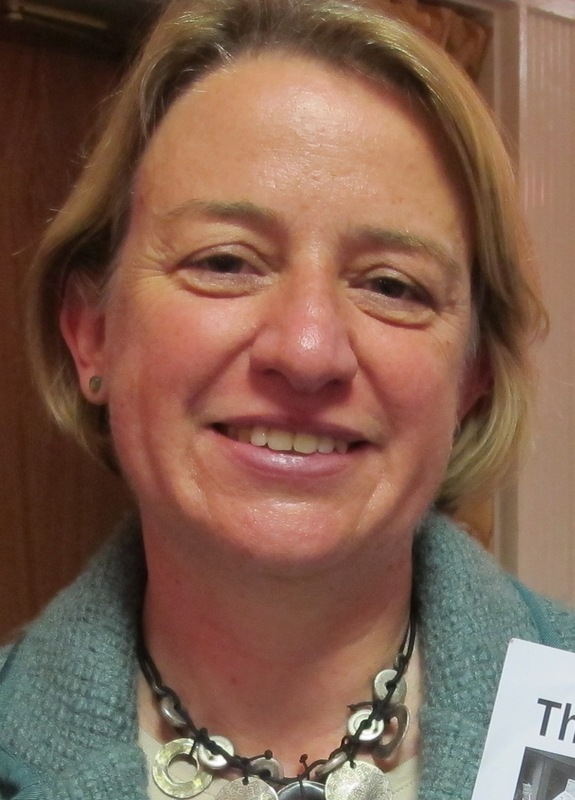 8 May 2015 – First published on East Midlands Green Party blog on 9 May. After an evening of shocks and surprises the Green Surge continues to roll on. Caroline Lucas has grown her vote share in Brighton Pavilion by 11%, winning 22,871 votes and retaining her seat. Across the country, over a million people voted Green – more than four times as many people than at any other General Election. We came second in four seats, including Bristol West, where Darren Hall received the biggest ever upswing in a General Election in England and Wales – taking the Green vote up 23% to 26.8%. 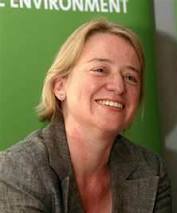 Greens also retained around 100 deposits and beat the Liberal Democrats in 126 seats. In 2010, they beat them in just one. The election results show that the political landscape has fractured and we now live in an era of multi-party politics where the politics of the future no longer has to look like the politics of the past. 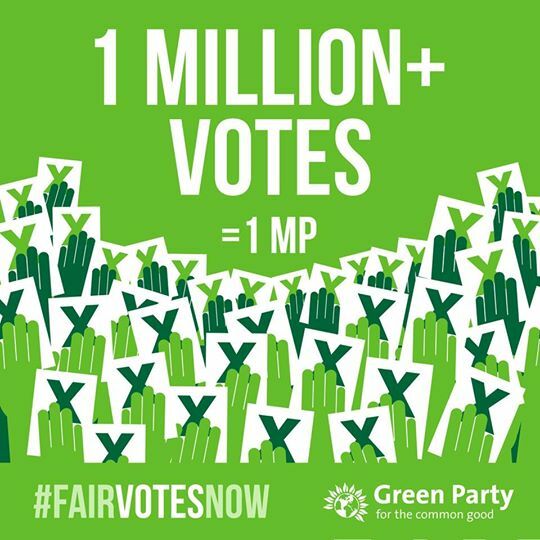 The fact that we have achieved over one million votes yet not been rewarded with more MPs draws into sharp focus just how unfair and outdated our winner-takes-all voting system is. Caroline Lucas said: “In 2010, Brighton Pavilion showed that a different kind of politics is possible. That you can stand firm by your principles and still be elected. But there’s not a moment to lose. 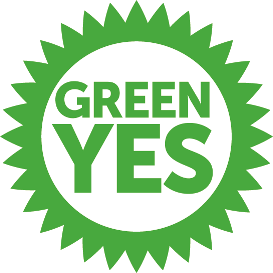 Amid the most savage, targeted austerity cuts in modern history, and with parties set on wringing ‘every last drop of oil’ from the North Sea, even as climate change accelerates – the urgency of a strong, clear Green voice in Parliament has never been greater. We will hold Parliament to account and push for real reform – starting with proportional representation, for a politics that looks far more like the people it’s supposed to represent. I joined the Green Party back in 2008 after listening to Caroline Lucas discussing ecology and the Green Party on Radio Four. I have always been deeply concerned about environmental issues and animal welfare but, up to that point, I never realised that there was a political party that shared my views. Since that time, I have been very involved with Derbyshire Green Party, holding various committee positions. 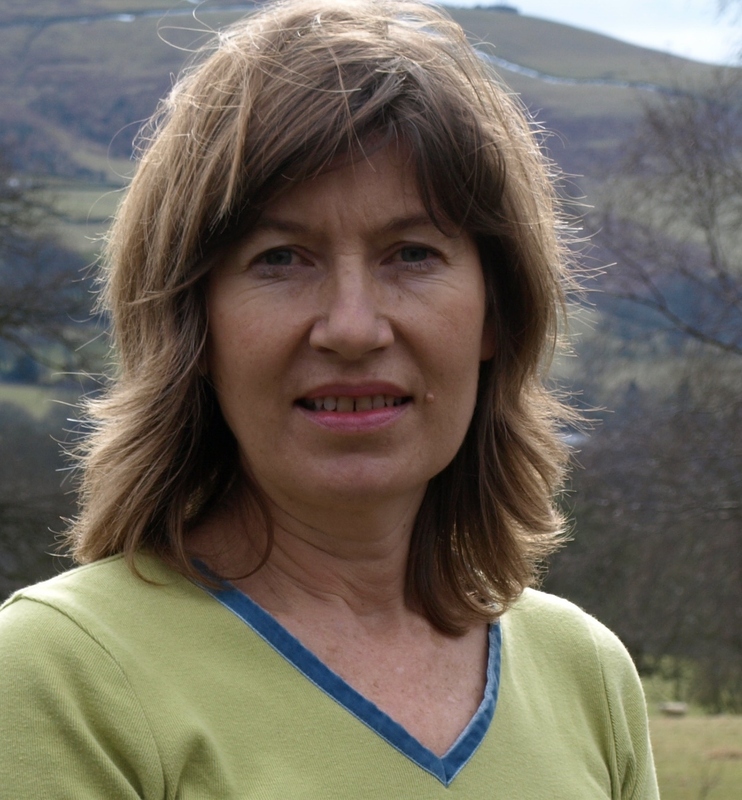 I have been Chair and Co-ordinator of both Derbyshire and the East Midlands Regional Green Party. I have also contributed in other administrative roles including ERO (Electoral Returning Officer) and been the Editor of Greenshoots and Sunflower. As Derbyshire Chair, I responded to a request for support from the Foston community when they were beginning to campaign against the proposed mega piggery in their area. I initiated the Green Party’s involvement in this campaign, organising videos and other publicity material to oppose the planning application. I am delighted that the Environment Agency has recently rejected the mega piggery proposal which means that it is likely that the project will not be able to proceed. As East Midlands Chair and Co-ordinator, I was heavily involved in planning and organising the Euro Campaign and supporting the East Midlands Euro Candidate, Katharina Boettge. This demanded the ability to encourage and manage local party involvement across five counties, whilst offering personal support to the candidate. I consider climate change to be the most serious problem facing the world today. The rapid rise in sea levels is going to displace millions of people who live in low lying areas. A much more volatile climate will produce violent storms which will not be good for either food production or clean drinking water. These changes also mean we are losing wildlife habitat and biodiversity at an alarming rate. I would campaign vigorously for us to take a positive decision at the climate talks in Paris later this year, and make meaningful changes to our energy policy taking us away from destructive fracking and burning fossil fuels, towards renewable energy and clean burn fuels. I am a socialist by nature. I support a strong welfare system: one that would protect infirm and vulnerable members of our society. I do not believe the austerity cuts were either necessary or even advisable. We should be aiming for a sustainable economy as well as a sustainable ecology. We need to move away from the continued cycle of ‘boom and bust’ and we need to recognise that the concept of ‘growth’ is finite: after all, we only have the resources of one planet. If I were elected for my constituency of Derby South, I would dedicate 100% of my time towards improving the welfare of my constituents. I would not be looking to make personal gain from funding by lobbyist groups and no matter what the financial incentive; I would not be dividing my time sitting on the committee of large companies. I believe that we need a new politics of honesty, transparency and integrity. The Green surge shows no sign of slowing. The Party plans to stand in at least 75% of seats at the 2015 General Election – 50% more than in 2010 (4). Campaigning is already underway to significantly increase the number of Green Councilors in the local elections that will poll at the same time as the general election. Siobhan MacMahon, Young Greens co-chair, said: “The growth of the Young Greens this year has been spectacular. We have doubled in size since March alone to nearly 4,000 members – significantly larger than the Liberal Democrat’s youth wing. Thousands were inspired through the European elections, Green Party conference and even the Scottish referendum, that brought home to young people the Greens’ vision of a genuine progressive alternative to the same-old right-wing politics of the coalition parties, as well as Labour and UKIP. The Green Party is consistently polling at over 10% among 16-24 year olds. Young Greens are attracted by Green polices that call for free education, affordable and publicly-owned transport, an end to migrant-bashing and a halt to the continual attacks on young people. The Party recognises that the youth of Britain have been at the sharp end of austerity, and are badly affected by the crisis in affordable housing. 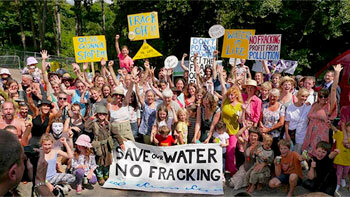 It is also the young generation who will have to live with the full effects of climate change and resource depletion. In the aftermath of the Scottish Referendum the Green Party is backing calls that a People’s Constitutional Convention agree radical changes to the governance of the UK. Soon after the Scottish Government has negotiated additional powers with the UK Government, a People’s Constitutional Convention should be commissioned, before the General Election, to map out a new settlement for the rest of the United Kingdom as soon as practicable. In the wake of the Scottish referendum, which saw the highest turnout at a UK election (85%) since 1951, the Green Party is backing calls for a People’s Constitutional Convention to be established to consider radical changes to the entire governance of the UK. We need to put power back in the hands of the people. The Green Party of England and Wales (GPEW or Greens), invites experts to draft policies: then asks Conference to amend them: then votes to adopt them. The policies are binding on Members and are visible to all at http://www.policy.greenparty.org.uk This is a lengthy but deeply intelligent and democratic process. We are not rewarded with media coverage and we are penalised by having to find a deposit of £500 to exercise our democratic right to stand, intelligently, in Westminster elections – a double penalty for a party mainly funded by its members. 1. Long ago, a Scot created the Bank of England that is actually the Bank of UK. 2. Years ago, Greens adopted a series of policies about public administration, including the need for a radical written constitution. The constitution, according to Greens and recently Labour, must be created by a Peoples Constitutional Convention. 3. A few weeks ago, East Midlands Greens put forward a Motion to speed up the drafting of a constitution. 4. A few days ago, on an 85% turnout, 1.6 million Scots voted Yes to Independence. 2 million voted No, because of an (exaggerated) fear of the unknown: and because of a vague, last minute, cobbled together “Vow”, that there would be unspecified delegation to Scots. • Tories’ PR consultant, currently our PM, found he couldn’t carry out the Vow, in face of pressure from his far right and UKIP. So he linked devolution to the Scots, with the removal of Scots MPs’ votes in the UK parliament. That wasn’t in the Vow. • Libdems seemed to completely lose sight of their earlier commitment to the EU rules on subsidiarity – yet another abandonment of principle. The paper might seem a bit sudden to the electorate at large, but in fact every word is based on our well drafted policies for public administration (PA 001 to PA 918). Readers can as ever read the policies and position paper for themselves. Local government exists in a permanent state of crisis, with neither the resources nor the powers to effect the comprehensive change local people want. Councils should have enhanced powers and spending to tackle the housing crisis, generate renewable energy, deliver strong public services and promote local businesses. Where there is public demand for regional government we will support referendums to establish it. Proportional representation should be introduced at all levels of Government – from Local Councils to the lower and upper houses of the UK Parliament. In most of the UK the composition of governing bodies does not reflect the will of the people. The UK Government’s current Bill to allow constituents to ‘recall’ their MP part-way through their term of office does not go far enough. In the current bill only MPs who are convicted of a criminal offence and jailed: or MPs who have been suspended by their peers, will be subject to a recall process. In contrast the Green Party backs ‘total’ recall where the power rests solely with constituents. The Green’s MP, Caroline Lucas, has worked with MPs from all political parties to produce a ‘total’ recall Bill under which a by-election would be triggered if 20% of constituents sign a recall petition. If the public don’t like a Government decision they should be able to force them to reverse it. And if the Government is dragging its feet on implementing a popular measure the public should be able to give it a push. The Green Party backs the right of citizens to introduce their own referendums or initiatives if they secure a sufficient number of petition signatures. Britain’s Upper House is perhaps the most glaring example of the neo-feudal state in practice. No other country that calls itself a democracy retains an unelected branch of parliament stacked full of retired MPs, party donors and a smattering of hereditary peers. The Green Party believes it should be abolished and replaced by a directly-elected second chamber. 16 year olds were entrusted to help decide the future of their nation in the Scottish Referendum. They repaid that trust. The Green Party has long-argued that the age of majority should be reduced to 16 for the rest of the UK with accompanying full citizenship rights and responsibilities. All of these changes need to be included in a new written constitution setting out our rights and Government’s responsibilities. All of these are existing Green Party policies. The new settlement should be subject to a referendum. Greens will seek the resources to speed up the drafting of a new Constitution. We will ask other parties to consider our ideas in a Peoples Constitutional Convention. We will meanwhile support the Yes movement in Scotland, in its insistence that the vow be consummated. We need an early vigorous debate. We might have to act before our next Conference, if we are to maximise our impact on the 2015 elections. At their Spring Conference in Liverpool, the Green Party adopted a motion tabled by Derbyshire Green Party calling for transparency over MP’s pay and expenses. The motion also calls on the Party to oppose the recent 11% pay rise for MPs, due to be paid from 2015, and demands that future pay rises be linked to the UK average rise in pay. The Greens call for openness over MP’s salary, expenses, sponsorships and any other income that comes from their work as an MP. They also call on MP’s to make a contribution from this income for constituency work and to ensure that any paid posts created are openly advertised. 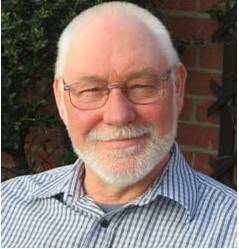 Derbyshire Green Party secretary John Youatt, who piloted the motion through the Conference, told delegates that the MP’s expenses scandal during the 2010 general election had seriously damaged trust in Parliament. This is the Candidate’s Pledge adopted by this policy. Green Candidates will be asking those of the other parties to make a similar pledge during election campaigns. 1. I will make a full time commitment to the job for which I will be well paid. 2. I will ensure that, in the interest of transparency, a report is prepared every two months in which all allowances, other related income and expenses will be included. This report will be submitted to a local constituency body in a way that is open to public scrutiny, with receipts and justification for all expenses. 3. I will invite the local party to discuss with me a donation to it of a percentage of my salary, which will be used to fund support staff for my constituency work. 4. I will advertise all positions within my constituency office. Positions would be filled to industry standard terms and conditions for conducting interviews and making appointments. Family members would only be employed through that open recruitment process. Alarmist, and relevant only to America? · ‘It’s the Sun Wot Won It!’ The American owned News International claiming credit for the Tories 1992 unexpected election victory. Murdoch again endorsing Blair, and hey – he wins! · The economic strategy of Austerity that suits the financial institutions but was not included in the Tories election manifesto. · The singular lack of effort to regulate the financial sector that is such a big donor to Tory coffers. · Corporate lobbyists steering energy policy away from renewables towards fossil fuels at a time when 97% of people who know what they are talking about on climate change are screaming, ‘cut carbon emissions’! · Tories in Europe blocking regulations on fracking and blocking moves to implement a Financial Transaction Tax. And so the list goes on. We are seeing members of Parliament acting against the interests of their electors, secure because they know that the corporate press will support their re-election. In the face of disquiet about the influence of lobbyists, the Government felt compelled to bring in a Lobbying Bill, but with a twist straight out of 1984 – they managed to exclude the activities of the powerful corporate lobbyists and focus instead on charities and small campaigning groups. They have turned the Lobbying Bill in to a Gagging Bill. The Corporation who are running the show are unaffected and it is the small citizens groups who are trying to bring their concerns to the political agenda who will be effectively silenced in an election year. So we now find that if the ‘Gagging’ Bill is passed into law, the ability of groups such as the Women’s Institute, Frack Off and campaigns against Austerity will be severely limited in their ability to bring their concerns and policy preferences to the attention of the public in an election. The corporate run big party election machine will have a clear run to push the official line. All the electors will hear is ‘Britain’s on the mend’ and ‘the medicine’s working’. Nothing about destitution, hunger, under-employment, full time jobs for less than a living wage, obscene banker’s bonuses, the rich getting richer, the poor poorer. Those who might have the true facts on the state of British society will have been silenced. And this is not all. Hidden away in the sub-clauses of an Antisocial Behaviour Crime and Policing Bill are proposals to stop protest. A middle ranking police officer will have the power to ban any protest if it is deemed to risk causing a disturbance. Any Council will have similar rights if any group of electors raises opposition to a demonstration. This Bill is proposing a ne w power called the Injunctions to Prevent Nuisance and Annoyance. Unfortunately it can’t be applied to politicians on Newsnight, but it can apply to just about anyone else away from their home. So a landowner could apply it to ramblers on a foot path; the owners of a drilling site could apply it to people walking slowly along an access road; the organisers of a hunt could apply it to anyone holding a critical placard. A person speaking in a public place can be silenced least she or he annoy anyone. There is no definition of ‘Nuisance or Annoyance’; it is the opinion of a Council or a senior police officer who seeks the injunction. Once granted the injunction can be enforced by any ‘officer in uniform’. There needs to be no clear intent, only the officer’s opinion that there is a risk of undefined ‘antisocial behaviour’. The Officer will have dispersal and exclusion powers and the power to remove any person they ‘suspect’ to be under 16. Failure to abide by the instructions of the Officer is an arrestable offence that could lead to imprisonment. In his Opinion he cited the following statement from the European Court of Justice referring to the European Convention of Human Rights. We may also note here that the Conservative Party wishes to withdraw the UK from the European Convention, in the light of this Bill, we can see why. “But, in a larger sense, we cannot dedicate — we cannot consecrate — we cannot hallow — this ground. The brave men, living and dead, who struggled here, have consecrated it, far above our poor power to add or detract. Tis a d eep shame that our special friends over the pond, after 150 years, have still not achieved a government of the people, by the people, for the people. Tis even worse that, on this side of the pond, we have a government of the rich, by the rich, for the rich, in which people are born very unequal. A strong Green Party presence was felt at Derby People’s Assembly on the 26th October, 2013 with leader Natalie Bennett making an appearance at the workshop on “Climate Change Threat and 1 Million Climate Jobs” and making a speech at the end of the day. Accompanying this was both the DGP stand and a number of members showing their faces for most of the day. Overall it is thought that over one hundred people attended throughout the day. The format was much like many other discussion group based events. The day kicked off with three speakers talking about the People’s Assembly itself, Education Reform, and Cuts to the Fire and Rescue Service. After these speeches, attendees split up and went to the discussion groups they had chosen. There were two groups before lunch, speeches after lunch, two more discussion groups and more speeches to round off the day. Sue Arguile from the NUT gave a very passionate speech about the recent strikes by teachers and Gove’s education reform. She spoke about a radio phone-in interview with a woman whose attitude had shocked her. The caller, as well as her general ‘teacher bashing’, had said that teachers should be looking to their ‘product’. This “marketised” view of teaching also shocked the attendees. Following this was a local secretary of the Fire Brigades Union who spoke both about what the despicable cuts to the fire service will mean in terms of the service to the public and also about the treatment of workers in that sector over pensions. Discussion groups were then held on: the Politics of the Crisis, the Demonization of Immigrants, Tactics for the Anti-austerity Movement and Debt and Loan Sharks. The immigration discussion seemed to centre on Unite Against Fascism and the benefits of setting up local anti-fascist groups to counter the British National Party, English Defence League and other far-right groups when they organise in areas. The second set of discussion groups were on: Protecting the NHS, Defending Education, Re-unionising the Country and Busting Economic Myths. Although poorly attended, the re-unionising group sparked some enlightened discussion about the state of trade unions and their attachment to the Labour Party. One graph showed that the more direct action unions took, the more their membership increased. Also encouraging was the statistic that showed that union membership was up again. There was an hour after lunch for some more speakers including Christian Wolmar who spoke much about re-nationalising the railways, mentioning that this idea was being debated in the Labour Party. He failed, however, to mention that us Greens have been campaigning on it for a while now. 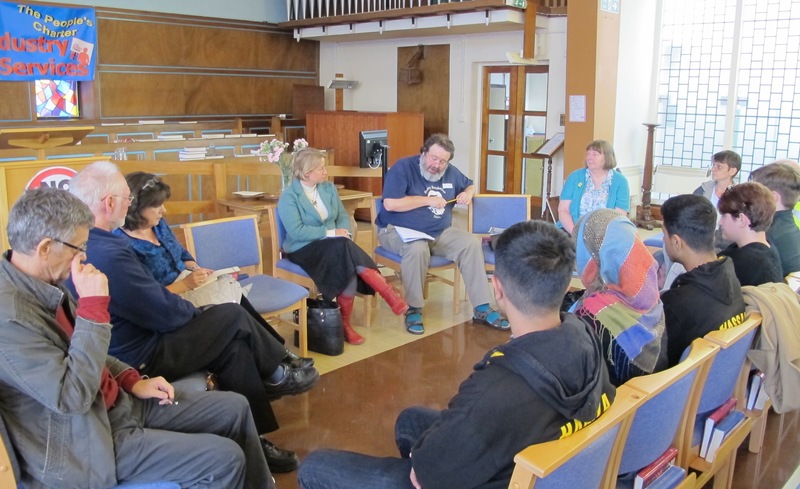 After this, the third round of discussion groups were held on the topics of: Welfare, Public Transport, the Bedroom Tax, Using Art Against Austerity and a repeat of the Protecting the NHS group. Another member of the Green Party found the workshop on Bedroom tax to be a complete eye opener as they heard that many tenants are put in severe difficulties when they are served with orders and have no idea about their rights or what free legal help is available to them. The final groups were held on: Building Community Campaigns, the Peoples Charter and (with a strong Green presence) Climate Change and 1 Million Climate Jobs. Natalie Bennett spoke at the climate change group about the need for investment in insulation of all houses in the UK to both reduce carbon emissions and create jobs. Natalie also spoke reassuringly of the party’s opposition to incineration both on the grounds of pollution and the harmful effects due to air quality reduction. 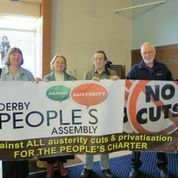 Finally speeches were given about: Green jobs and ditching neoliberalism by Natalie, the railways by Alex Gordon of the RMT union and the future of Derby People’s Assembly by Peter Robinson. 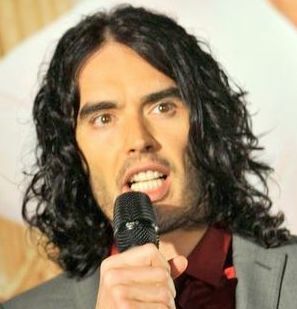 Russell Brand has thrown down a gauntlet. http://www.youtube.com/watch?v=3YR4CseY9pk He has forcefully stated what we all know, that the cosy Parliamentary political process works to protect the interests of the land-and-wealth-holding 1% that is manifestly uninterested in the well-being of the 99%. He also states that the majority of that 99% have lost both interest and confidence in the political process; witness the falling turn-outs in elections, that reached shockingly low levels of less that 20% in the Police Commissioner elections last year. In advocating revolution he was giving voice to the sense of disempowerment felt among people he knew – he clearly keeps contact with his roots despite his recent acquisition of fame and wealth. He is expressing anger with the political establishment, an anger that not only he feels, but many feel as they turn away from the electoral political process and try to find some other vehicle to bring their existence and their plight to the attention to those who have power. It is clear to us all that this Parliament is not that vehicle – and that is a tragedy. Over generations brave, selfless and far sighted people have wrested power, clause by clause, from the Barons who claimed their legitimacy from the rights of conquest. That attitude, the absolute right to hold and exercise power without question or challenge, still underpins the British Establishment. Every concession is grudgingly given. They will never rest until each is taken back and we return to the condition of serfdom. 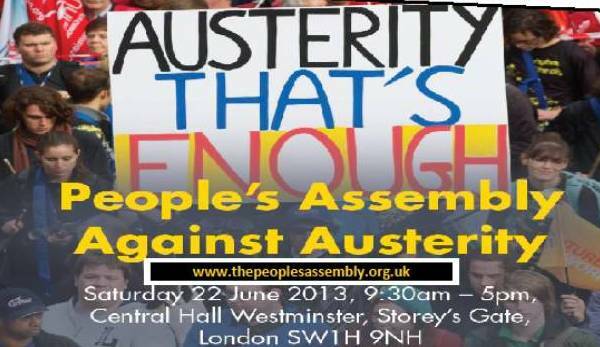 Austerity is a step in this direction, taking back our economic gain. Next will come disenfranchisement. Brand’s initial, repeated call on people not to vote would play into the very hands he identifies as the robber’s. Not voting hurts no one but ourselves. The power structure couldn’t care less. If no one voted, they would claim power by default; they see it as theirs as of right. If people don’t bother to vote, there will be less need for them to spend their stolen money on propaganda, after all, their own faithful followers can always be relied on to turn out. Tories are more likely to vote than any other persuasion. Why bother to go to the hassle of formally disenfranchising the people if they do it to themselves? Once again we are divided against ourselves, working against our own interests and playing into the hands of our rulers and masters. A call to revolution does have a certain heroic ring, ‘man the barricades’ – storm the citadels of power, smash a few busts of the great and pompous – then what? Historically revolution has failed to deliver a better order and the price is sickeningly high. The world is in a mess and the last thing we need is the diversion of revolution. As Brand rightly points out the planet is in danger, government is broken, and people are suffering. Parliament either doesn’t care or is powerless to act in the interest of the majority – things have to change. But revolution? No! We just haven’t time. Revolution would set the clock back, we would have to invent new structures, go in for endless arguments, assassinations, plot and counter-plot, the wealth might change hands, but it would stay in a few hands and those hands would stay on the tiller. Remember the outcome of the Russian Revolution; new rulers, same privileges, the people still shivering out on the street, disenfranchised. Democracy is broken and it is up to us, the Greens, to mend it. There is no one else to do it. We can do this through engagement, by making demands of Parliament, by holding Parliamentarians to account, by knowing what they are up to, by letting them know that we know what they are up to, by being aware of where the power in this country lies and by not being taken in by the propaganda machine that is the media and press. And we need a clear programme. Political protest, even revolution, without a manifesto achieves nothing. 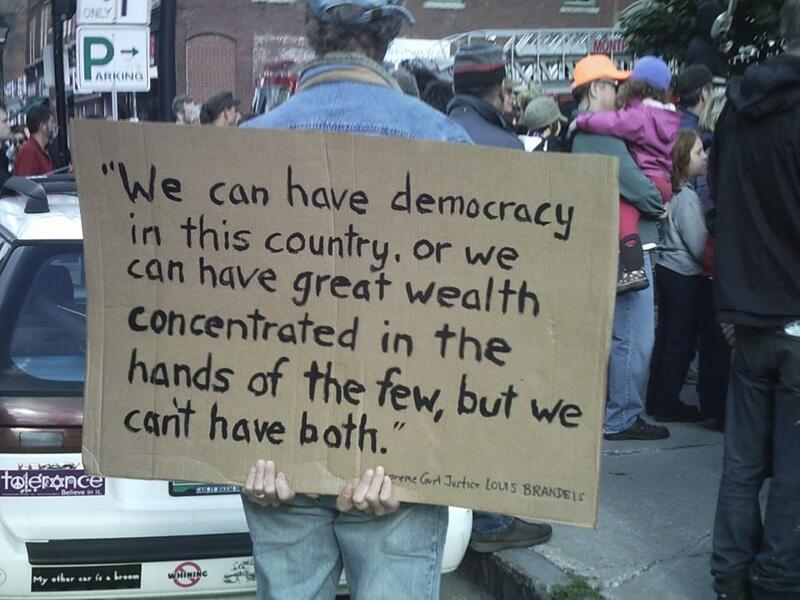 That is why Occupy fizzled out. It asked many pertinent questions but it came up with no answers. It did not develop a programme of action. We have had two generations of protest; protest against the bomb, against war, against hunger and poverty, against cruelty, against unjust taxation, against austerity. Protest is like a safety valve, it allows people to let off steam, it lets them feel that they are doing something, it allows spokesmen for the power structure to make pious statements about listening and sharing concerns, it sends us home thinking we have taken action and nothing changes. Why? Because at the next election the ballot boxes tell a different story. People vote for the business as usual parties as they are bidden to do by the propaganda machine, and a new conservative party is installed. Those who don’t vote are dismissed as apathetic, not interested, not bothered, so no need to take account of their opinions because they have expressed no opinion. 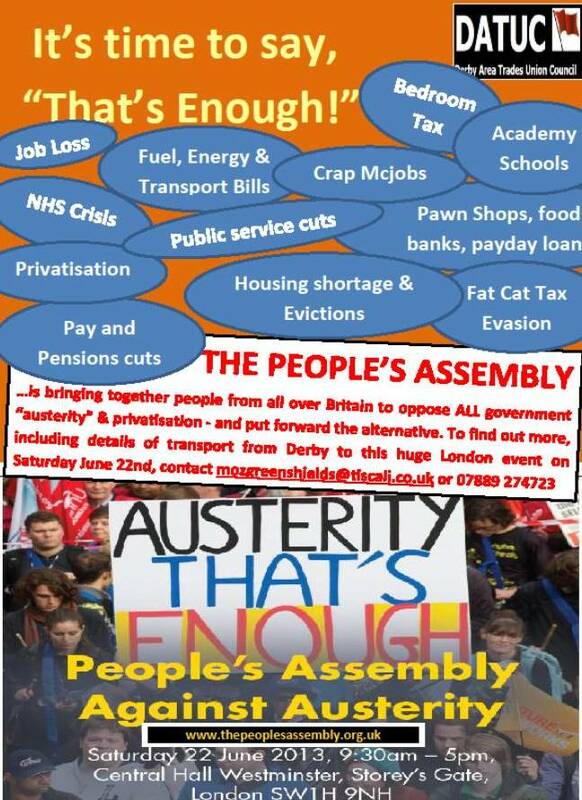 Protest without a clear manifesto that lays out the action that we are demanding, is going to achieve nothing. We still have the bomb, we are still at war, and there is still poverty and cruelty, now joined by hunger. OK, we might have defeated the poll tax – but think why. The Tories were about to lose an election, public opinion was swinging against them, which galvanised action; they scrapped the poll tax and made us pay by raising taxes. The protests died away, they won the next election, and it was back to business as usual. The focus of protest was too narrow, there was no other programme. 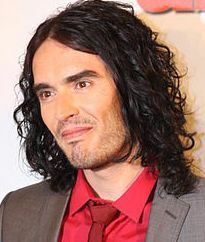 We cannot argue with Russell Brand’s analysis. We are drenched in analysis, the airwaves are full of it but what we need desperately is solutions. And Brand’s initial solution will not work. It will not put us in any better position, why should it? What really stirs in his splendid tussle with Paxman (no less) and call for revolution, is that there is a solution, a very clear Green manifesto that focuses on our collective needs, that maps out a clear way forward that will increase our general well being, that will rein in the abusive power of the new aristocrats of wealth, that will address both our social and global ecological crisis. It is the Green Manifesto for a Sustainable Society. Of course Brand might find it awkward to endorse the Greens. He is part of a business, the Brand ‘brand’. He has to keep his million followers in mind. His advisers might tell him that if he endorses the Greens he will lose followers and become less interesting to the media that helps him make his money. He knows that we are here, and perhaps, he is throwing down a challenge to us – to take a leaf out of his book, be totally up front, have the confidence of strong belief, don’t be afraid of telling it as it is, or of upsetting people or of being controversial. We are too deferential, too concerned about the detail, about trying to balance the books about having answers to every question. Our purpose is still to shout about the big issues. There is hunger on our streets, our climate is changing, we are running out of the essentials for life and the rich are robbing our children of their future. We are too concerned with winning the intellectual argument and are failing to make emotional contact with those who should be supporting us. Our answer is, top marks Russell. We Greens are not pretending, we are a genuine option. We Greens are not complicit. We have grown up from a party of eco-warriors to a party in which social fairness goes hand in hand with saving the biosphere. We Greens won’t get power as in an instant majority. But we do believe in the best power of all, the power of persuasion, and are quite good at it. Russell, be radical again with yourself, and declare you’ll vote Green in 2014 and 2015. That will give you and us the power of persuasion.